In 1789, Benjamin Franklin wrote that ‘in this world nothing can be said to be certain, except death and taxes.’ If you’re a screenwriter, you can add one more thing to that list: Notes. It is fashionable for writers to laugh at notes, stupid notes and the stupid people who give you stupid notes. And it’s funny when real industry pros like Rob Long talk about it. 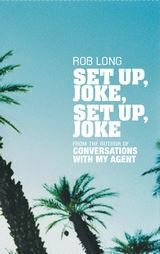 You can read examples in his two excellent books that I highly recommend, Conversations with My Agent and Set Up, Joke, Set up Joke. But he’s sucked up his fair share of notes in his time, and written episodes of Cheers. So he gets to talk like that. The fact is that sometimes, you do get really silly or arbitrary notes. Writers are always swapping stories of daft notes they’ve had. It’s a way of the over-educated powerless writers asserting their intellectual superiority. I know. Pathetic, really. And although moaning about notes is fun, but it doesn’t get you anywhere. If you’ve written a script, sent it to a producer, development executive or script editor and they want to meet up, they’re most likely going to give you notes. You’re going to have to get used to this. If you want a career as a writer, you’re going to have a lifetime of being told that what you’ve written isn’t quite right – or is way off. If you don’t want that, or can’t handle it, do something else. Farmers get crapped on. Nurses are vomited on. Writers get notes. It’s an occupational hazard. Let’s say the producer is interested in your script and it has potential, and wants to take it to an exec, but would like you to take a look at some parts of the script first. They have notes. How to respond? How does it work? 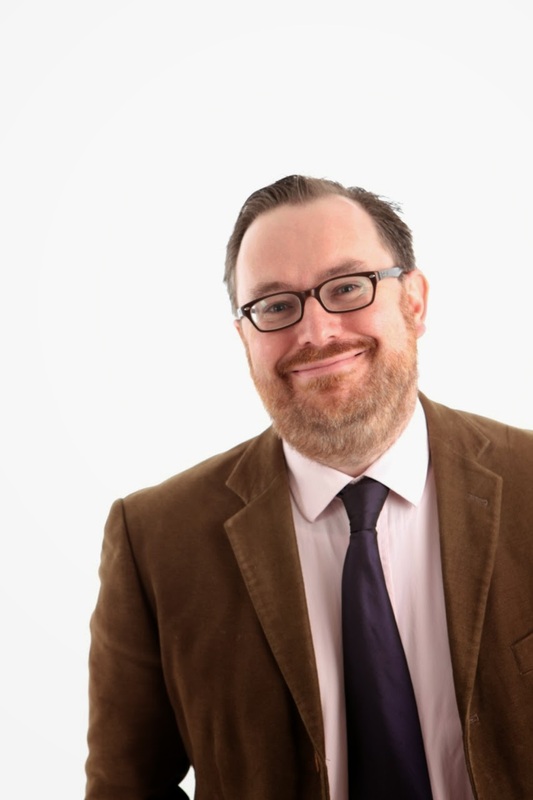 I’ve been a script editor on several series of radio and a few series of children’s TV – and given a fair amount of notes, as well as being on the receiving end of them so I’ve seen this from both sides. We’ll get to a few specifics in a while, but first, a few general points. You are very attached to your script. You’ve given birth to it. It may well have taken nine months and essentially feel like a child. And parents don’t take negative comments about their babies very kindly. So understand that you are an overprotective, overly sensitive person when it comes to your script. And remember that it’s not a baby – an inherently valuable being made in God’s image – it’s a script. Just a script. Words on a page. About made up people. It’s good that you care about it. But don’t let your attachment to it blind you to its flaws. And there will be flaws. It’s not easy to hear negative comments and react rationally, but you must. I have to take a deep breath before every notes session, and prepare to suppress my rage, whilst trying to keep an open mind – even with notes on a fourth draft of a third episode of an existing TV series where, essentially, I’m winning. It would also pay to remember that at this stage in your career, the note-giver is mostly likely vastly more experienced than you. They’ve been there, done that, and made their mistakes – and may be giving you the opportunity to learn from theirs. Moreover, the producer or script editor wants the same thing as you: a funny show. Even better, a funny, successful show. He (or she) doesn't want to make the show worse. And he (or she - you get the idea) doesn't want you to remove good jokes. He wants you to remove bad jokes, or cut things that get in the way of the jokes. Or streamline things that are confusing. Or ensure that everyone's motivation is clear and defined. He may be wrong about some of these things, but not all of them. So assume he’s right about some of them. Maybe even most of them. Also, the script editor or note giver is busy. They’re almost certainly working on lots of projects or have their heads in something else. They may make a mistake in their notes, or misremember something. They may forget the names of some characters or get a set piece scene the wrong way round. This may be the third script they’ve fed back on that day. Your script is not at the centre of their universe. So if the notes are a little non-sensical, or contain errors or contradictions, try cutting them some slack. And if they don’t find a joke funny, they can't help that. They might realise that others will find it funny. Or they may have reasons for cutting it. Remember that without notes and suggestions for improvements, your script cannot improve. And if it’s a first or second draft, there’s no way that it’s good enough or ready to be shot. The best note is an articulation of an awful truth you’ve been suppressing all along. There’s been a consistent weakness in a character, a scene or story that you’ve been wilfully blind towards, and you can’t face fixing it because you’re worried it’ll mean losing a whole load of funny stuff. Well, that chick has come home to roost. Time to address that which has remained unaddressed. The consequences may not be as bad as you think. But they may be worse. Essentially, though, this note is a blessing. There are lots of worst kinds of note. (I know logically this can’t be the case. But this is notes. Logic does not apply) The very worst note is the one given by someone with nothing to say, but a desire to justify their salary. So they seize on random things in the script and undermine them. You can sometimes spot these notes because they’re just bizarre. A more common kind of bad note is one that appears to be about one thing, but is actually about another. This is why experienced writers advise rookies to think about ‘the note behind the note’. Sadly, the note behind the note is often ‘I hate this idea’ or ‘I wish this episode were about something else’ or ‘I’ve never liked this character’. These notes are profoundly annoying and unhelpful because they're dishonest. Worse, you can't really do anything about them. As we’ve established, not all the notes will be right or helpful. But think twice before ignoring any note completely, because there's probably something in it. If a line or moment you think works fine is questioned, maybe it doesn’t quite work fine. Take another look at it. Maybe it’s flawed in a way you and the notegiver hadn’t spotted. Even the silliest most deranged note (like 'Hey, could the hero die on page one?' See clip below) is worth considering for a moment or two. A script is a moving, mushy thing. Nothing is set in stone until it's actually broadcast and out there. At least try it their way, even if you end up switching it back. You are more than entitled to say to the Script Editor or Producer ‘I’m confused by this note, because...’ or ‘I’m struggling with which way to go on this. We've talked about two ways and I'm still not clear why you favour the second option...’ A dialogue for clarification is fine, and may be fruitful if done with proper care and respect. If you’re emailed some notes, you don’t need to go through them all on the email and say whether you agree or disagree with them - or give the lines a backstory. I’ll go further: Don’t do that. It’s really annoying. It sounds defensive. And when you’re giving this redundant feedback, don’t simply reject notes with non-specific excuses lines like ‘You told me to cut that bit but I really like it. I don't know why. Just feels right.’ Why do you like it? Why should it be kept in? Every single line of your script needs to fight for its right to survive. You can’t keep bits in because of some non-specific affection. If you want to be a pro, act like a pro. Defend the line with a concrete reason, or cut it. 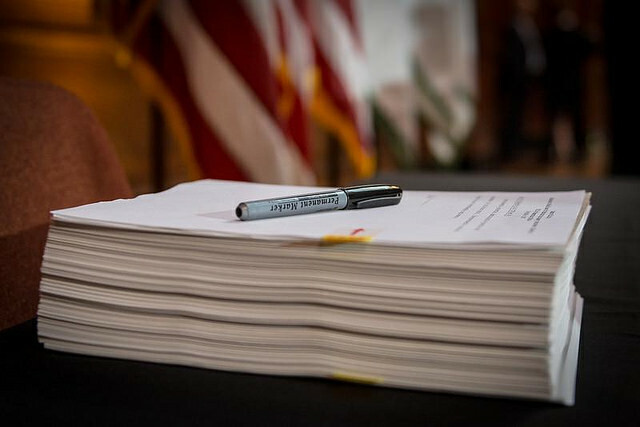 It’s quite likely that a script editor will suggest something for your first draft, that they will suggest removing after draft three. Maybe she’s forgotten that it was her idea. But then, she’s read two drafts of ten scripts since she gave that note. Cut her some slack and don’t make her feel like an idiot with a ‘Well, I only put that in because you told me to’. Grow up. And remember that when she’s dishing out extra commissions for scripts, she might remember your notes on her notes and your crowing and decide to go with someone else. 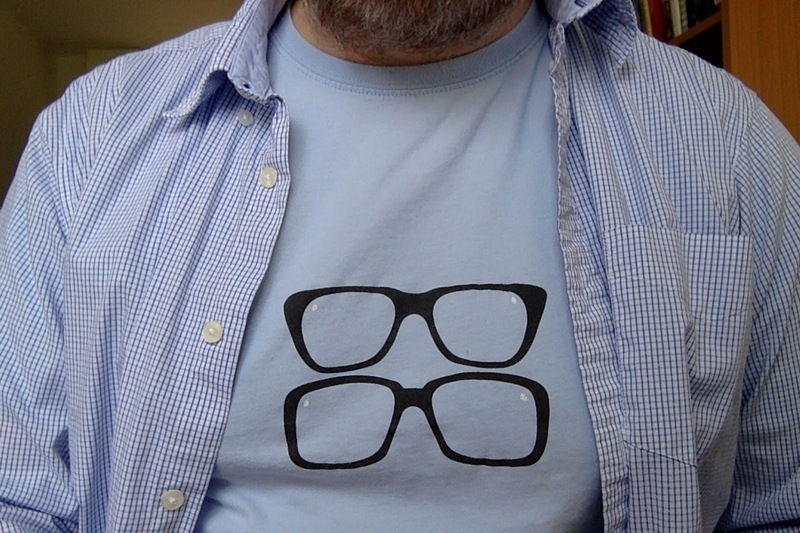 Tomorrow I enter a brief comedy nirvana, in which I will be surrounded by other sitcom geeks. I'll be at the Craft of Comedy Conference in Llandudno where we'll do very little but talk about comedy, writing and writing comedy. And one thing I hope to find out more about is attitudes to mainstream sitcom which is not currently hitting the heights of our friends/rivals in drama. In previous blogs, I've noted that there's an awful lot of decent drama around. I've recently been loving The Night Manager and The People vs OJ. And when Hugh Laurie was finally despatched, along came Line of Duty to take it's place. I'm being well served by drama. No question about that. If we look at the ratings that are churned out by various agencies, we will see that drama is dominant, and if we squint a little, we may be able to make out a victory dance. I've been poring over these numbers as provided and filtered by Broadcast magazine in their 'Consolidated Figures' list, which includes catch-up, PVRs and the like, and I've been trying to arrange them into something useful. So here's something: if not a snapshot, then a slightly longer exposure than that. Look out. They've spawned a monster. 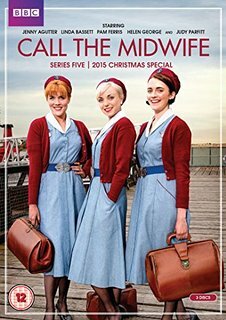 Only one sitcom is competing with these murderers and midwives. That would be the one with our Granville: Still Open All Hours (7.88m). Now maybe this is an unfair time period. If we went back to 2015, we'd be able to include Mrs Brown's Boys Christmas Specials, Car Share and Count Arthur Strong. But then we'd also be including dramas like Downton Abbey, Broadchurch, Doctor Foster, Sherlock, And Then There Were None, Doc Martin, New Tricks, The Syndicate, Partners in Crime, Inspector George Gently, Jonathan Strange & Mr Norrell, Ordinary Lies and Poldark. Another very respectable list. So why is this happening in mainstream, when there's probably as much comedy on TV as there's ever been looking across all the channels? What's happened to the mainstream sensibility? Why are household names like Steve Coogan and Harry Enfield still making comedy for BBC2, not BBC1 or ITV? And why are these highly acclaimed, well-made, award-winning shows on BBC2 and C4 rarely beating reruns of Dad's Army? Why are great British comedy writers winning EMMY's for Veep and not BAFTAs? Why is the writer of Men Behaving Badly, Simon Nye, writing The Durrells, and not a sitcom? Why aren't big stars queuing up to be in sitcoms any more? I really and truly don't know. I don't even know if it's possible to know. Maybe I'll get some compelling theories at the conference. I hope to share the thoughts of the assembled comedic throng soon. 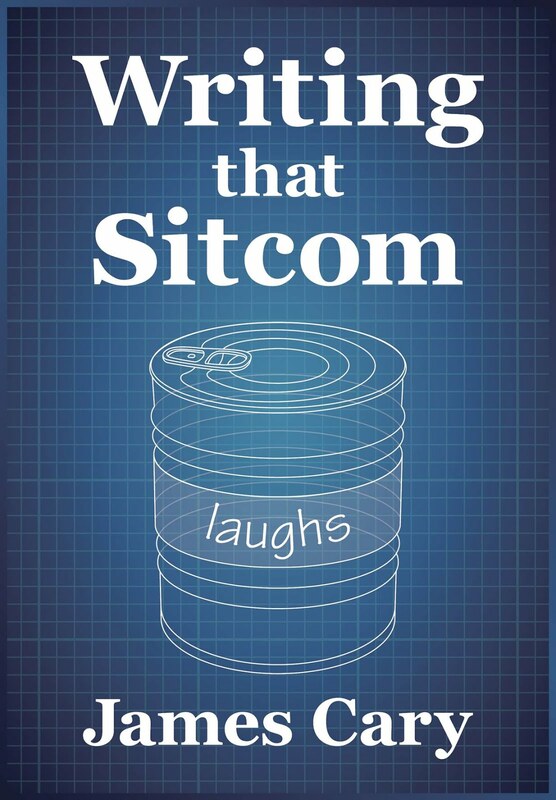 For practical advice on how to actually situation comedy, get Writing That Sitcom, a how-to guide from someone who's actually done it. For Kindle/Kindle App. Who are the true greats in comedy? The word great is bandied about a lot so let's be careful here. Clearly any sane list should include Peter Cook, Ronnie Barker, Peter Sellers and Eric Morecambe. Leonard Rossiter (dressed as Rigsby) might somehow worm his way into that A List. They are the Kings and Dukes of Comedy. But not far behind, the Earls and Counts of comedy must surely include Ronnie Corbett. He is up there with the Frankie Howerds, Bob Monkhouses and the Eric Sykeses. An awful lot about Ronnie Corbett will already have been said. But this is a blog about sitcoms and writing, so let's say a couple of things about that. Ronnie Corbett was naturally funny, brilliant performer with amazing charm, surprising range and a fantastic diminutive stature that provided easy jokes on the way to harder ones. But he was not a writer. People don't like to mention this sort of thing as we now live in an age where people like to believe the magic people on TV come up with all of this stuff (on the spot in front of three cameras whilst interacting with actors). And for I reason I can't fathom, the press doesn't like to ruin that illusion. Mr Corbett himself would've been puzzled by all this, I'm sure. When you're doing a juggernaut weekly TV show, with a monologue, as well as sketches, you need material. You need writers. And The Two Ronnies had some of the best. This why, sketch for sketch, I'd probably choose the Two Ronnies over Morecambe and Wise. Corbett evolved his own chatty, jokey style that was unlike anything else - but the words were written. Just like Frankie Howerd's routines were. They just didn't look it. Because the writing and performance were working in perfect harmony. 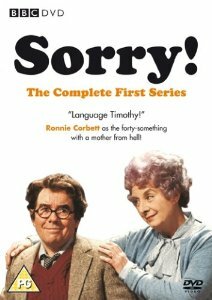 And when you look back at Sorry!, which ran for seven series from 1981-88, you won't find an overlooked classic. You will find a show that was very watchable at the time, spawning a household catchphrase (Language, Timothy! ), entertain millions of people over the course of 42 episodes. This, we should remember, is no small thing. Sorry! 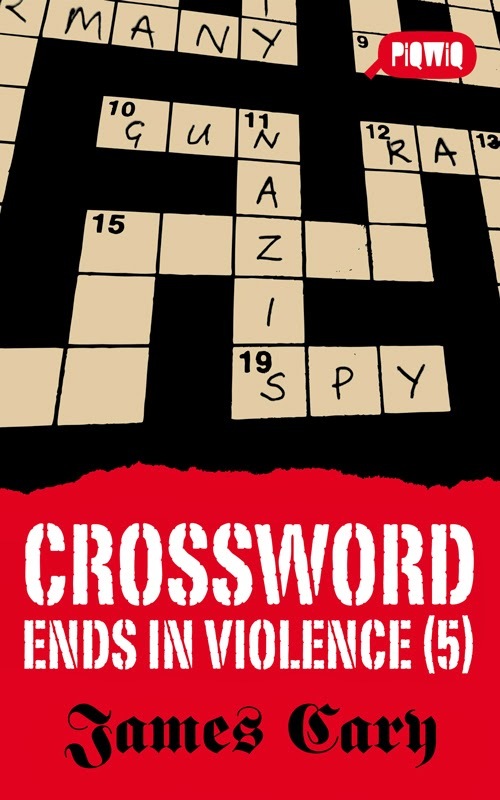 was written by Ian Davidson and Peter Vincent. They had written for The Two Ronnies and Ian Davidson had been the Script Editor in 1978. Along the way he came up with a popular vehicle for a much loved mainstream sketch actor. The Two Ronnies was also a place where the likes of John Sullivan (Fools and Horses), David Renwick (One Foot in the Grave) & Andrew Marshall (2.4 Children) and David Nobbs (Reggie Perrin) got some TV comedy miles under their belts. Add up the numbers of episodes of TV sitcoms written by his crowd alone (remembering to include John Sullivan's Just Good Friends, Dear John, Citizen Smith and The Green Green Grass, (and those other shows by those others writers)). We have hundreds, possibly thousands, of episodes of TV enjoyed by millions. Sometimes tens of millions. Some of these episodes are truly great. Many other episodes are just watchable and enjoyable. Again, no small achievement. We really love to celebrate 'the greats', and 'the classics' and wonder how we'll ever achieve those heights again - and remake them assuming we won't. It seems odd to me that we don't really do the things that brought about these classics. Armstrong and Miller have run for a few years on BBC1. But not Mitchell and Webb. (Why not?!) Tracey Ullman's show has been on at 10.40pm. This huge sketch comedy shows are the launchpad for huge sitcoms. Is it any wonder we're not getting these big, crowd-pleasing, mainstream sitcom hits when we just expect them to appear out of thin air? But I digress. For now, let's celebrate the late great, but tiny, Ronnie Corbett. I wear this T-Shirt today for him. And let's have a listen to Matt Berry and his band playing the theme from Sorry! (in memory of Ronnie Hazlehurst who died back in 2007).